Quaint House Design with Pine Roof, Shuttered Windows and flower boxes! 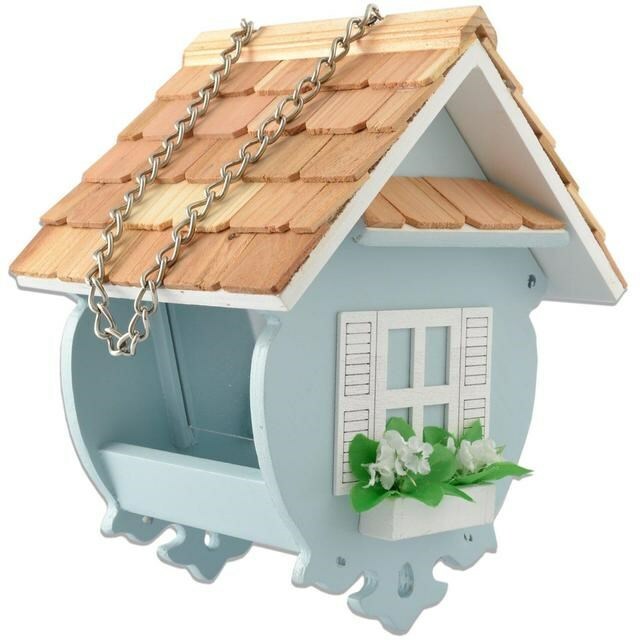 This hanging bird feeder is designed as a quaint house with shuttered windows, flower boxes and a pine roof! It includes drainage holes to keep the bird feed dry and has a sliding roof for an easy access point to the seed container. 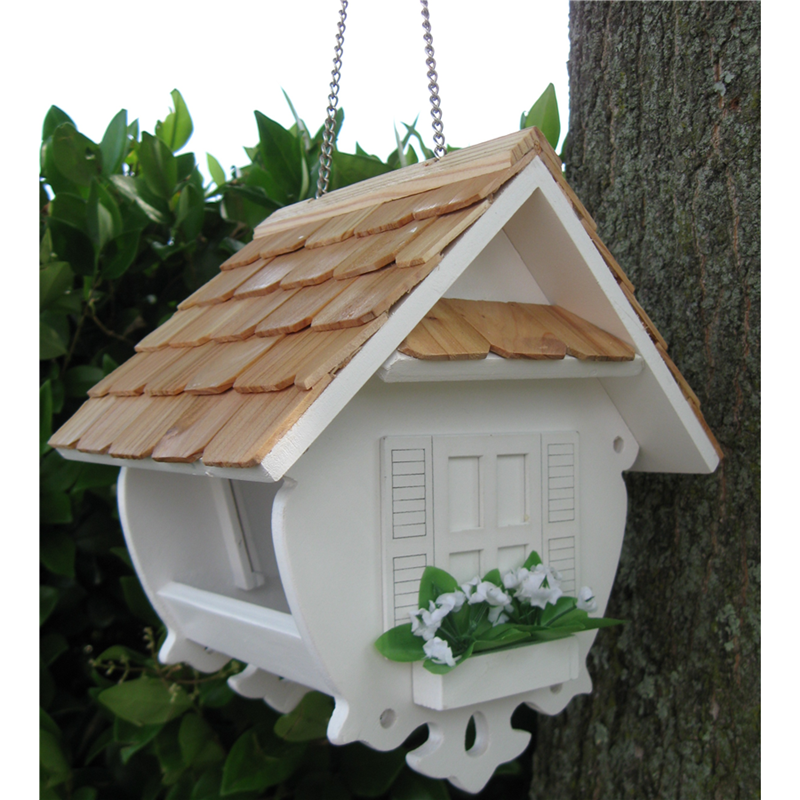 There are no reviews for Bird House Feeding Station Bird Table .